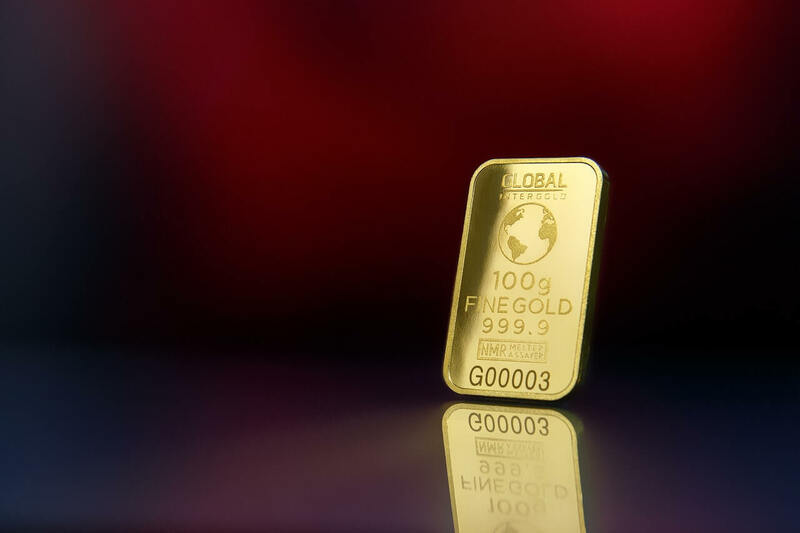 China’s demand for gold bars and coins soared 30 percent year-on-year to 105.9 metric tons in the first quarter of this year, the fourth strongest quarter on record, according to a report released by the World Gold Council on Thursday. Overall demand for gold in the Chinese market grew 8 percent year-on-year to 282.4 tons, making China the world’s top gold consumer, according to WGC data. Copper slid to a four-month low overnight after data showed a sharp drop in imports into China, the world’s biggest consumer, feeding pessimism over demand following hefty inflows into London Metal Exchange inventories last week’s April copper imports fell 30 per cent month on month to 300,000 tonnes, data from the General Administration of Customs showed, and were down by a third from a year ago as a subdued outlook for industrial activity weighed on demand. “Sentiment is still down in the copper market due to the increase in the LME inventories (last week), and especially today due to the fact that Chinese trade figures were disappointing,” said ABN Amro analyst Casper Burger have some new data coming out this week and next, especially industrial production from China. Given the decrease in the PMI level recently, everybody is worried that that will translate into lower industrial production on a yearly basis, and if that happens the copper price will be negative again. This was a feature in Hard Assets in which I called 275 as the high in copper. I hope that any scrappers, refiners and recyclers that aren’t hedging with us had a chance to hedge off this article before the crash and burn in the Copper market. Now that the strike is over you can see the effect of that pressure on this market. Lindsey Rubin, Secretary of Republic Metals Corporation, spoke on technological alchemy, ethical sourcing and responsible business practices at the Seventh Annual International Gold Conference, hosted by Initiatives in Art and Culture in New York City on Thursday, April 27th.The event took a comprehensive look at gold, with a focus on jewelry; it explored the underpinnings of gold’s abiding emotional power, allure, and enduring value. Mrs. Rubin sat on a panel discussion about the different transformations of gold, and on another panel addressing the topics of ethical sourcing, transparency, and responsible practices relating to gold, where she outlined Republic’s narrow sourcing model. “Republic Metals’ proprietary refining techniques allow us to offer end-consumers the ability to trace the chain-of-custody of their material back to the originating mine,” said Mrs. Rubin. It is good to see Republic continuing to make the effort to bring green gold into the country. We also will be speaking at The Santa Fe Symposium from May 21-24 at the Hotel Albuquerque at Old Town in Albuquerque, NM. We will be covering how you can mitigate your risk from market movement in your Jewelry store. This is one of Zaner Precious Metals ongoing education for the metals community in the uses of hedging to maintain your bottom line. Global gold demand in Q1 2017 was 1,034.5t. The 18% year-on-year decline suffers from the comparison with Q1 2016, which was the strongest ever first quarter. Inflows into ETFs of 109.1t, although solid, were nonetheless a fraction of last year’s near-record inflows. Slower central bank demand also contributed to the weakness. Bar and coin investment, however, was healthy at 289.8t (+9% y-o-y), while demand firmed slightly in both the jewelry and technology sectors. Argentine authorities, industry players and unions are expected to sign this week a long-awaited federal mining agreement that unifies existing legislation across the country, as part of an ongoing effort to jump-start investment in the sector. The nation, once a favorite of mining investors, has fallen behind its neighbors Chile and Peru despite containing rich deposits of copper, gold, silver and zinc. Until now, local regulations were not only tough, but also diverse, with seven of the country’s 23 provinces having a full ban on the use of cyanide over to environmental concerns. Since taking office in late 2015, President Mauricio Macri has been adopting measures to revive the country’s mining industry. One of the first ones was eliminating a 5% tax on mining and energy companies in February last year. That probe, along with the provincial government’s review of Barrick’s mine development plan, could thwart the miner’s plans of bringing Veladero back to normal operations by June. The probe may also interfere with Barrick’s sale of a 50% interest in Veladero to Shandong Gold Group, announced last month. Veladero resumed operations in October last year, after having been suspended for almost a month following a spill containing cyanide, the second such incident in just over a year. Veladero, one of the largest gold mines in Argentina, produced 544,000 ounces last year. Proven and probable mineral reserves as of December 31, 2016, were 6.7 million ounces of gold, according to the company’s website. The cyclical metals suffered from broad-based selling yesterday. Platinum and palladium dropped 3.2 per cent and 2.3 per cent on signs of a broadening softness in global car sales. The United States recorded a fourth consecutive decline in sales in April and growth in Europe appears to be slowing even after taking into consideration this year’s later Easter holidays. This softness does not bode well for platinum and palladium autocatalyst demand. Prices should move towards $700 per ounce over the coming months, not least due to profit-taking in the futures markets where positioning remains bullish. Platinum faces additional headwinds from a rapid decline in European diesel market share, which was down almost six percentage points in Germany and more than four percentage points in France last month. Amid rising concerns about air pollution, fears of falling resale values and looming bans from city centers, consumers appear to be turning away from diesel engines. With prices down 3.5 per cent, copper was the worst performer yesterday. Despite the early-year supply disruptions, copper does not exhibit any signs of tightness, triggering more profit-taking in the futures market. Currently, there are 58 billion Euro of gross Non-Performing loans from 15 Italian banks. The ECB continues to put pressure on the failing banks to clean up their balance sheets, but it doesn’t seem like they will have the ability to do so. So, it looks like the Italian banks will need more capital injections from the ECB to keep them afloat. Both Spain and Ireland have benefited from government intervention reducing their non-performing loans, but it looks like Italian banks just keep losing ground. The Financial Times reports today that yields on Greek government debt have hit fresh lows in the aftermath of the French presidential result, as investors’ fears of a Eurozone breakup recede. The Greek 10-year government bond yield dropped to 5.569 percent today, down more than 13 basis points from last week’s lows and the lowest level since September 2014. Yields fell last week after the country reached a deal with creditors on fiscal and structural reforms in order to unlock bailout cash, paving the way towards debt relief talks. The market for Greek government bonds is relatively small as the vast majority of its debt is held by creditors in the EU and IMF, but shifts in its debt pricing have come to be seen as an indicator of wider market sentiment about the health of the Eurozone. Jiaolong, China’s manned submersible, discovered a collection of polymetallic nodules in Puyuan Seamount in the South China Sea on Friday. Jiaolong was underwater for six and a half hours on the second stage of China’s 38th ocean scientific expedition, which will last until May 13. “Learning the distribution of polymetallic nodules will help us to choose a site for experimenting with collection, which is one of the main goals of the mission,” said Wu Changbin, general commander of the second stage of the expedition. Polymetallic nodules contain more than 10 kinds of elements including manganese, iron, copper, nickel and cobalt. Our thoughts and prayers go out to the family of the fallen: Senior Chief Special Warfare Operator Kyle Milliken, 38, was killed Friday during an operation against al-Shabaab in a remote area about 40 miles west of the capital Mogadishu. Copper is a natural antibacterial agent. Brass, brass is a metal composed primarily of copper and zinc, doorknobs, handrails and fingerplates made of brass are excellent choices for public buildings and will prevent the spread of bacteria.